auctions. 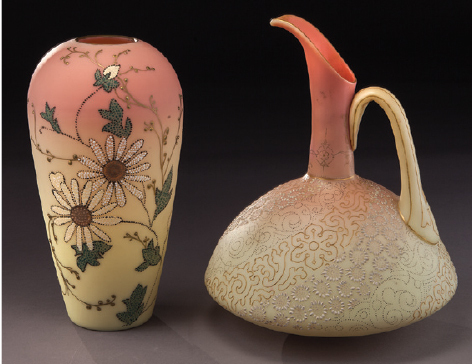 Includes over a thousand of pieces of art glass with an emphasis on early Mt. 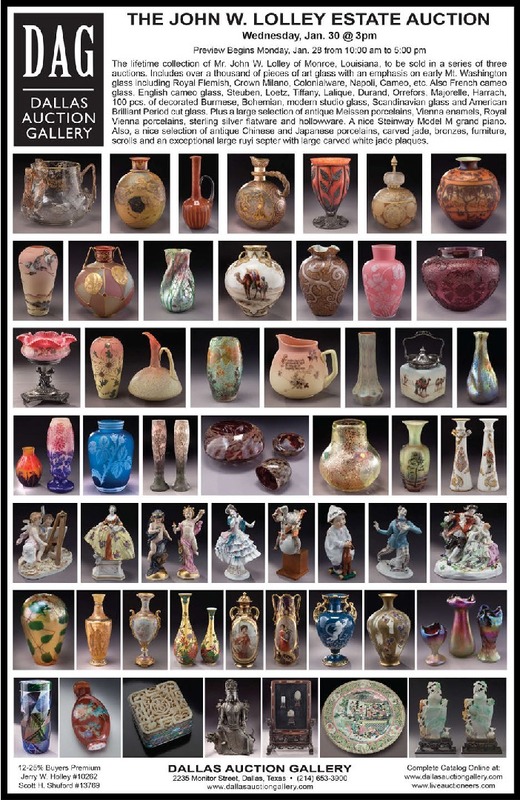 Washington glass including Royal Flemish, Crown Milano, Colonialware, Napoli, Cameo, etc. Also French cameo glass, English cameo glass, Steuben, Loetz, Tiffany, Lalique, Durand, Orrefors, Majorelle, Harrach, 100 pcs. of decorated Burmese, Bohemian, modern studio glass, Scandinavian glass and American Brilliant Period cut glass. Plus a large selection of antique Meissen porcelains, Vienna enamels, Royal Vienna porcelains, sterling silver flatware and hollowware. A nice Steinway Model M grand piano. Also, a nice selection of antique Chinese and Japanese porcelains, carved jade, bronzes, furniture, scrolls and an exceptional large ruyi septer with large carved white jade plaques.